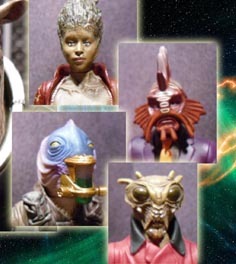 In the original storyline, Ondre (an anagram of Drone) was to be a young girl but in the absence of a decent young female alien figure, the Star Trek: Voyager Vidiian had to step in. His somewhat pathetic, put-upon look made him perfect for the character. For Sil's henchman, I selected the Torchwood Weevil. Obviously this one is a bit more advanced than those we saw in Torchwood. Well he can talk and operate machinery anyway. I love the panicked look the figure has. 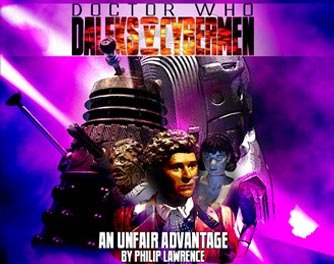 For this chapter of the Daleks v Cybermen arc I wanted to show the wider implications of the war, the lesser civilisations being needlessly trodden underfoot, the noble races intent on defending themselves and the profiteers planning to gain from it. I'd been looking for an excuse to use Sil since Character released him in 2010. If anyone was going to try and gain from the war, it would be him! The script was finished on 6 July 2012. 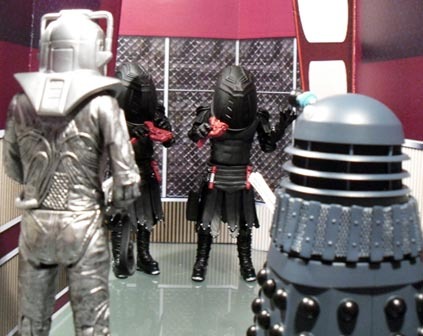 Since the Dalek v Cybermen arc shares several sets, I shot many scenes back to back. 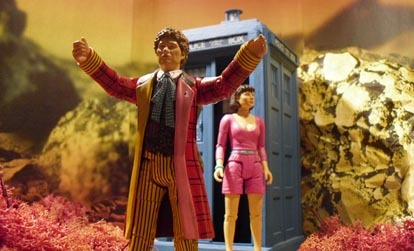 All the TARDIS interior scenes were filmed on 1 Sept 2012. 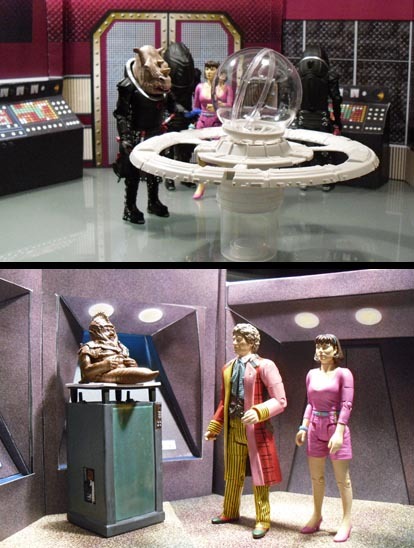 The Dalek ship scenes followed on 8 Oct 2012 and the Cyberman ship scenes were done on 15 Nov 2012. 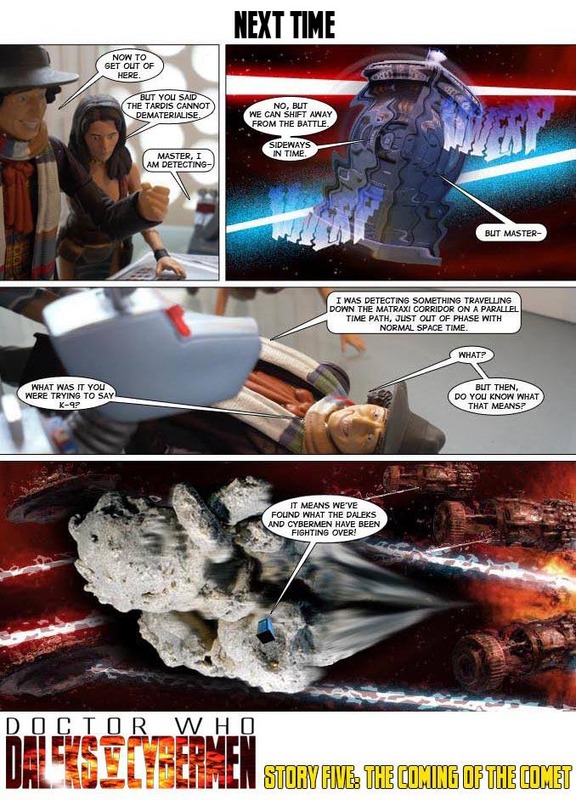 Filming for this story specifically began on 26 Jan 2013 with the Judoon bridge which reuses the sets from 2010's Fear of the Daleks- a red version of the Moonbase set from The Seeds of Death. The Judoon corridor scenes were done on the 28th January. Sil's monitor room was shot on 29 Jan 2013. 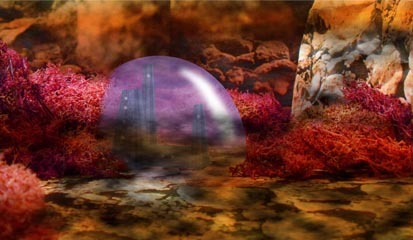 In keeping with the 6th Doctor era, this set is based on the Borad's office from Timelash. The mountainside scenes were done on 15 Feb 2013 with the mountain tops being done on 16 Feb. On that day I also shot the holographic room, a simple set of black card walls and floor. This story was edited well in advance. Unfortunately my USB stick crashed and I realised I'd lost the lettered version of Episode 2, page 4 and had to redo it. Part one was posted online on 23 July 2013 with part two following on schedule on 23 August. For the sixth Doctor, this story comes after the previous AFT adventures Timelocked and Empire of the Time Lords. 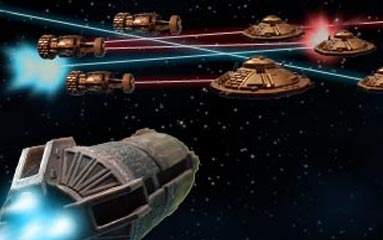 Obviously aware of the Dalek/Cyber war since Timelocked, the Doctor has made some preparations for the inevitable rematch.